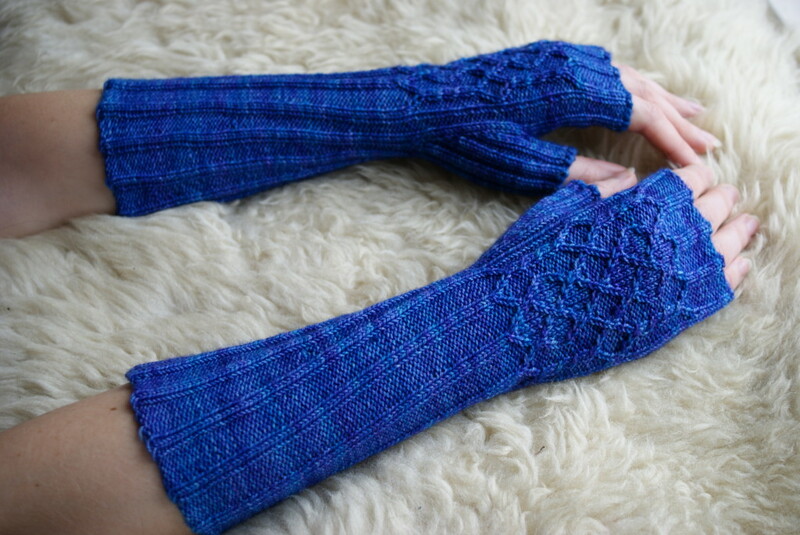 A reworking of an old pattern, now available in an additional longer length, with a better flow of cables and ribbing. Click on either photo for more images. The cable pattern is fully charted and the wristers are fully adaptable for longer or shorter hands, narrower or wider thumbs. Written instructions accompany the cable chart, explaining how to work the cuff, top and thumb gusset. The pattern is sized for average adult hands (circumference 6.5”/16cm, length 7”/18cm) but it can be adjusted by altering your gauge. Available on ravelry for £2.50 (for customers within the EU – VAT added at checkout). 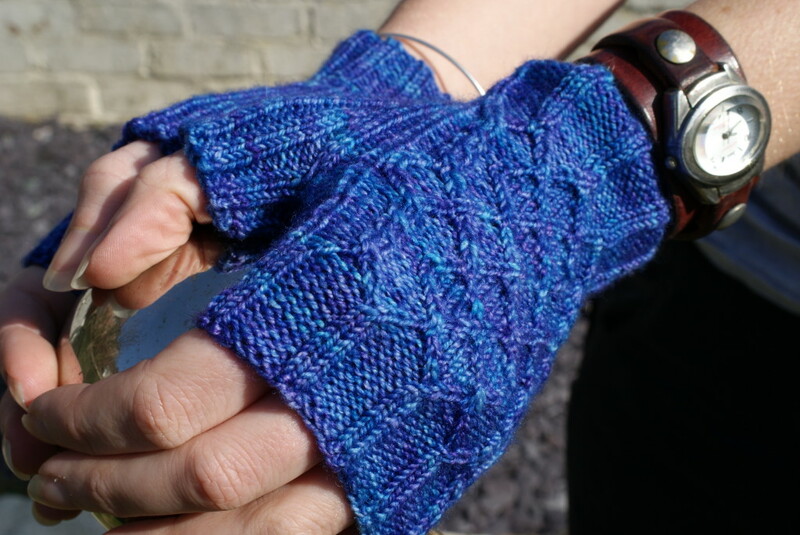 This entry was posted in Patterns and tagged cable, gauntlet, knitting, mittens on 31 March, 2016 by fakoriginal.